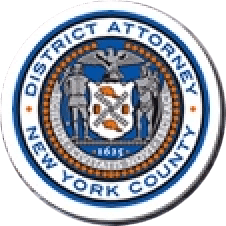 Manhattan District Attorney Cyrus R. Vance, Jr. today announced the guilty plea of ANGEL ALVAREZ, 28, for operating a major narcotics trafficking ring that possessed and sold cocaine, as well as larger, resale quantities of the drug throughout Manhattan, the Bronx, and New Jersey. ALVAREZ pleaded guilty in New York State Supreme Court to all charges in the indictment against him, including Operating as a Major Trafficker, also known as the “Drug Kingpin” statute, and Criminal Possession of a Controlled Substance in the First Degree, both class A-I felonies. The defendant also pleaded guilty to Conspiracy and Money Laundering, both in the Second Degree, among other charges. ALVAREZ is expected to be sentenced on July 28, 2015. According to his guilty plea and documents filed in court, from July 2012 to March 2015, ALVAREZ was responsible for obtaining and transporting significant quantities of cocaine and using proceeds from drug sales to further finance the acquisition of a supply of cocaine for resale. In addition, the defendant acquired a number of luxury vehicles – including an Audi A7, a Mercedes Benz, and a BWM – for himself and for other members of the operation to use in order to transport illegal narcotics throughout New York and New Jersey. ALVAREZ also possessed, processed, packaged, stored, and distributed significant quantities of cocaine; communicated with other individuals for the purpose of making sales; maintained a supply of disposable cellphones for members of the operation to use for narcotics-related communications; and, in order to elude law enforcement, conducted counter-surveillance of police officers by following police vehicles, parking outside police facilities, and approaching police officers on the street. ALVAREZ also pleaded guilty to Money Laundering in the Second Degree for funneling the proceeds of the narcotics operation through financial institutions, including Chase and Capital One banks; for providing false information to open and maintain accounts; and structuring financial transactions, including bank deposits, in order to conceal the nature, location, source, ownership, or control of the funds deposited in these accounts. During the course of the conspiracy, ALVAREZ made 171 deposits in these accounts totaling $144,000, mainly for the purchase and maintenance of vehicles used by the organization to facilitate the narcotics trafficking. ALVAREZ pleaded guilty to Endangering the Welfare of a Child for selling cocaine in the presence of his four-year-old son, who was sitting in the defendant’s car at the time of the transaction. Today’s guilty plea follows a nearly four-year joint investigation between the Manhattan District Attorney’s Office; the Bronx District Attorney’s Office; the NYPD’s Organized Crime Control Bureau, Narcotics Division, which includes Narcotics Borough Manhattan North and Narcotics Borough Bronx Major Case Teams; and the New York Organized Crime Drug Enforcement Strike Force, which is comprised of agents and officers of the DEA, the NYPD, Immigration and Customs Enforcement – Homeland Security Investigations (HSI), the New York State Police, the U.S. Internal Revenue Service Criminal Investigation Division, the Federal Bureau of Investigation, U.S. Secret Service, the U.S. Marshal Service, New York National Guard, the New York Department of Taxation and Finance, the Rockland County Sheriff’s Office, the Clarkstown Police Department, the Port Washington Police Department, and the New York State Department of Corrections and Community Supervision. The Strike Force is partially funded by the New York/New Jersey High Intensity Drug Trafficking Area (HIDTA). Assistant District Attorney Christopher Ryan, Chief of the Manhattan District Attorney’s Office’s Violent Criminal Enterprises Unit, and Assistant District Attorneys Kieran Linehan and Cicely Harris of the Bronx District Attorney’s Office’s Narcotics Bureau, are handling the prosecution of this case, with the assistance of Investigative Analyst Jonathan Rivera. District Attorney Vance also thanked Bronx District Attorney Robert Johnson, NYPD Commissioner William Bratton, DEA Special Agent-in-Charge James J. Hunt, Special Agent-in-Charge of HSI New York Raymond R. Parmer, Jr., New York State Police Superintendent Joseph A. D’Amico, Special Narcotics Prosecutor Bridget G. Brennan, Fort Lee Police Chief Keith M. Bendul, Captain Stephen Gallagher, Police Officer Rick Hernandez, and K9 Greener; New York Organized Crime Drug Enforcement Strike Force, Assistant Special Agent in Charge Keith G. Kruskall, NYPD Capt. Fernando Guimares, NYPD Lt. James Briscoe, DEA Special Agents Timothy Flaherty and Robert Vanecek, and NYPD Dets. Robert Geary and John Trapani; Manhattan North Narcotics Inspector Charles McEvoy, Captain Shawn Charlson, Sgt. Freddy Dominguez, Dets. Jose Sandobal and Angus MacKenzie; the Bergen County Prosecutor’s Office; Narcotics Borough Bronx, Major Case Unit Inspector Christopher J. McCormack, Lieutenant Brendan Higgins, Dets. Patrice Wallace and Clarence Fredericks; and from NYPD Asset Forfeiture, Dets. Juancarlo Ramos and Francisco Portes.